Part 2 - 10 Things all small businesses should be doing. Welcome to Part 2 of the 10 Things all small businesses should be doing (or my words of wisdom! - I tried to write that without laughing, didn't work lol) I'm also going to do a reflection about my Social Media class at the end of this post. If you missed part 1, be sure to check it out. 6. 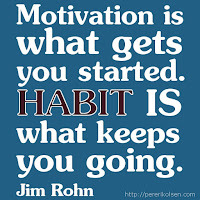 As the picture says, Motivation gets you started but Habit is what keeps you going. Everyone who starts a business is motivated and gung-ho. 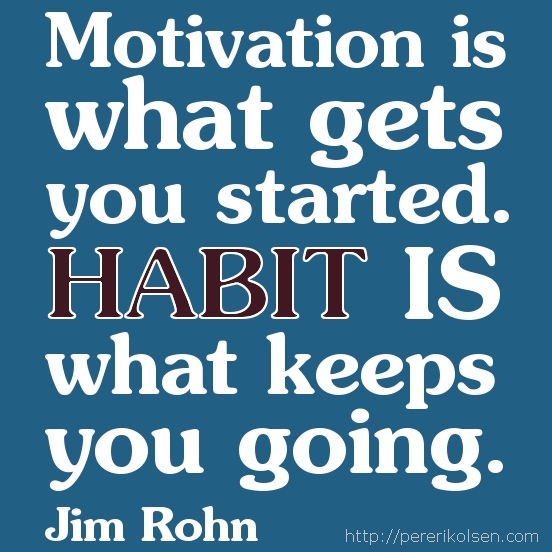 Those who succeed are the ones who turn that motivation into habits. Make a schedule for yourself. Set aside time for Social Media Marketing, Answering emails, customer service, etc... Of course the schedule should be a bit flexible, especially for those who run their business from home. But the point is to do something consistently so that it becomes a habit. 7. Networking is essential to all business, but for small/home/startup businesses it's even more important. Join groups on LinkedIn & Facebook. Join your local chamber of commerce. Seek out others either in your area, in your field or both. Make connections, not to just make a sale, but to make connections. For instance, I contacted my chamber of commerce to ask which membership category I would use to sign up as there was no home based business option. Well, the head of our chamber sent my contact information to a new shop that opened up in town. They contacted me and now carry my jewelry. I didn't go looking for it, but by making connections, I'm now in a local shop. 8. Learn, Study, Learn. Now, I'm not saying go back to college (though I'm glad I did for the chance to take some great classes). Learn from experts in your field, study businesses similar to yours and see what makes them successful and seek out different information online. 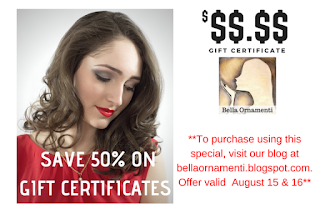 I subscribe to some great jewelry industry blogs & newsletters as well as marketing blogs & newsletters. Things change so quickly nowadays that you need to be in a constant state of learning. 9. MAKE A BUSINESS PLAN. Why did I wait for #9 for this? Well, some may have started their business like me, by accident. I didn't have a plan when I started, but I now have a Business Plan, a Marketing Plan and by Saturday I will done with my Social Media Marketing Plan. Trust me, these are important not just to acquire funding, but as something you use to grow your business. Having a plan in place (including an exit strategy) is the backbone of a successful business. 10. This is the MOST IMPORTANT of them all. Do Not Let Your Business Run You! It's so easy, especially for those who are running their business all by themselves, to put in 80+ hours a week or to work on weekends. How many of you have answered your phone, email or messaging while out to dinner or at the zoo with your kids? I do it too at times, but when my husband and I are eating (or out somewhere), the phone is on silent and I don't look at it until we're done. So, I've posted 10 things but there are many, many more. What is something you think is important that I didn't cover? Leave a comment. If you've made it this far, I will suggest that if you decide to take some college courses, try Columbia College (Columbia, Missouri). Even though the campus is local to me, I take online classes due to my disabilities. The four classes that I found most beneficial - Entrepreneurship, Intro to Marketing, E-marketing and the class I'm finishing up this week, Social Media. Much of what I posted I learned in one of these classes. I highly recommend the Social Media class because even if you're well versed in using Social Media, this class will push you beyond your comfort zone. Besides having a great teacher who participates in the discussions, you have a couple dozen classmates that you will learn from as well. My favorite part of the class was making the videos and podcasts. I'm not saying I'm quite comfortable to be in front of the camera just yet, but I no longer hate the sound of my recorded voice. Taking the class also reminded me to consistently write blog posts. Well, I will leave you with that knowledge. A big thank you to Dr. Rahim and my classmates for a fun and knowledge filled 8 weeks. I can honestly say this has been my favorite class in over 25 years of on and off college classes. Oh what glorious sights I have to show you! October is the best month!